sferrin wrote: "haavarla" sounds upset. cantaz wrote: Abbotsford International Airshow, British Columbia, Canada. What is a snap take-off? Lol! That is a take-off... and that is what Your Google found as well. So again, what is a Snap Take-off? And what is a Power loop?? Is this some newly invented LM trade or..? It looks you learned to Google. Nice. The only remaining thing for you now is to read what you Googled.. Regardless of Your weird LM phrases on these manuevers. The Flanker can do them all and more. Actuall, The Flankers did them over 10 years earlier. sasheska wrote: There should have been one at MAKS2013, just to piss off Sukhoi. If they're smart we'll never see an F-22 or F-35 at MAKS. Would you care to explain??? I would like to see a reputable source that says a cobra has any application in the real world. In a real fight it looks like suicide, nothing more than a stunt to wow an uneducated crowd. 1) Russian fighter pilot identifies target fighter aircraft location and speed. 2) Pilot gets a radar lock on target aircraft using the helmet sight cursor. 3) On flight/fire control command, pilot begins Cobra maneuver while IRS&T (Infrared Search & Track) continues to track the target aircraft. 4) Pilot launches air-to-air missile “over the shoulder”. The missile “knows” the expected target aircraft track. 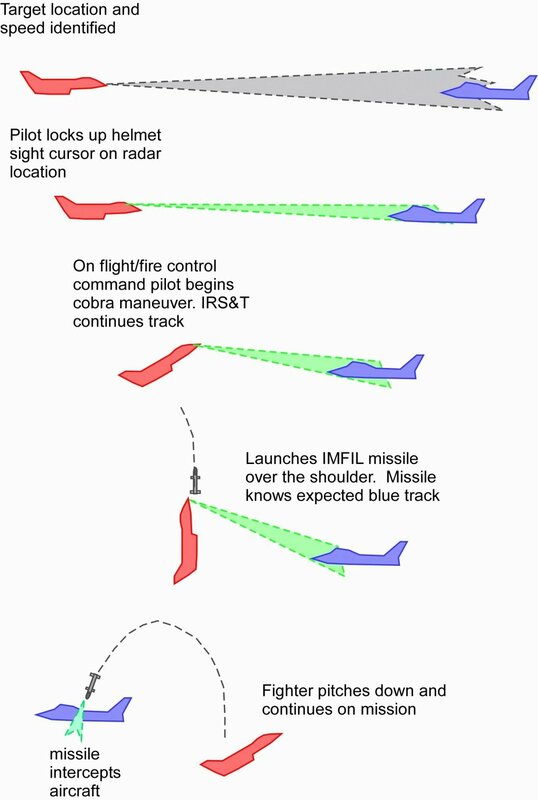 5) The pilot pitches his fighter aircraft down and continues on mission while the missile intercepts the target fighter aicraft...."
So, this would be an IRST that can point itself down past a right angle with respect to the airframe? Aren't the Russian IRST on a fixed mount in the nose? Otherwise, how exactly did the Cobra improve the odds of winning the "dogfight" over just firing while flying forward? What prevents the opponent from shooting down the now much less energetic aircraft? The only way to be fair is for a cross-Canada tour stopping at all the major bases. And what, exactly, is it supposed to be adding to his missle shot? Looks like it just makes him more vulnerable to his intended targets wing, as he is left with such low energy. Looks like a sitting duck to me. Cancelling military involvement in airshows is absolutely the right thing to do right now. At a time when manpower is being reduced and there are federal government furloughs it is important to demonstrate to our federal employees that everything that can be cut is being cut. When it comes down to it, air shows are a political operation, which the Air Force and Navy should only be spending resources on at times when-- and to the extent that-- there is a political pay off. It shouldn't need one. Why would we ever want to give the Russians a free look with every sensor they could drag to MAKS?